Settlers Motor Lodge in Petone is the perfect choice for quality, comfortable and affordable accommodation in the Hutt Valley or Wellington region, . The motel is ideal for corporate guests with unlimited WiFi, ground floor units with free parking outside your door. Ask us about our meeting/conference rooms we have multiple options for meeting and interview space. 50 Metres to Petone's new K-Mart. Families needing a venue for a get-together then Settlers Motel is an ideal choice. With Alfred Coles House as part of the complex this is an ideal location for birthday parties, weddings and special occasions. Full catering on offer. Settlers Motor Lodge and Alfred Coles House is located in historical Petone. Offering a range of accommodation options to suit your business or holiday needs. Select from a large family unit or a studio unit and enjoy your stay. Talk to us about breakfast options. Having the historic Alfred Coles House next door offers additional options for functions, meetings and drinks after work. Settlers Motor Lodge is a member of the HOST Accommodation Group. With over 70 properties throughout the country this is an ideal way to save money on your stay. 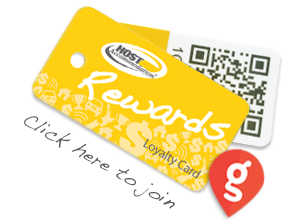 Use your HOST rewards card to acquire or redeem points for your stay. Petone Jackson Street is well known around the Wellington Region. Take a stroll down the historical street and you will find a wonderful assortment of shops and cafes. A firm destination for Lower Hutt shopping and dining there is sure to be something for everyone. Petone’s Jackson Street is buzzing with cafes and restaurants. There are at least 40 restaurants and cafes in the local vicinity, most of who have charge back arrangements with us. Just minutes from Settlers Motor Lodge - be sure to wander down for a look.